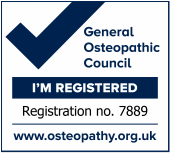 At South Downs Osteopathy, we believe osteopathic healthcare should be available to everyone, regardless of their background, income or postcode. Unfortunately, osteopathy is not currently available on the NHS in Brighton & Hove and there are no plans for this position to change in the future (see Ross's blog post for more details), which is a real pity as there has been excellent feedback from patients receiving NHS osteopathy for back pain in neighbouring West Sussex. So, for example, an initial consultation you pay £41.25 (instead of £55) and for follow-up visits you pay £28.50 (instead of £38). The discount will remain valid for the entire course of treatment for your complaint. Each new complaint will require a new referral from your GP to qualify for the discount. All we ask is that you let your GP know about your experience at South Downs Osteopathy and hopefully it will go a little way towards making the local NHS Trust aware of the benefits of osteopathy being available on the NHS. *This discount is only applicable if you are paying your own fees. Private medical insurance claims will be invoiced in full. Visit your NHS GP to report your symptoms. If your GP thinks a course of manual therapy would be beneficial, ask for a referral letter (our correspondence address is 111 Surrenden Road, Brighton BN1 6WB) or an email (to ross@southdowns-osteopathy.co.uk) from your GP's practice email address, outlining your symptoms, any relevant medical history and the initial diagnosis (we know GPs are very busy people so we have created a referral form to save them time - print one and take it to your next doctor's appointment in case they would like to use it). Contact Ross to arrange an appointment. If we have already received the referral we will book your initial appointment. Alternatively you can bring the referral letter to your first appointment** or we can call you back with an appointment date once the referral has been received. Please note: Credit/debit card payments can currently only be made at the db Foot Clinic. For all other locations, please pay by cash or cheque at the time of your appointment. **If you arrive at your appointment without the letter we will charge you the standard rate but will happily deduct the difference from your next appointment fee after we receive the referral letter.